This 3 bedroom/2.5 bathroom home is 1,934 square feet of living space and 4,985 total space including the pool and deck. 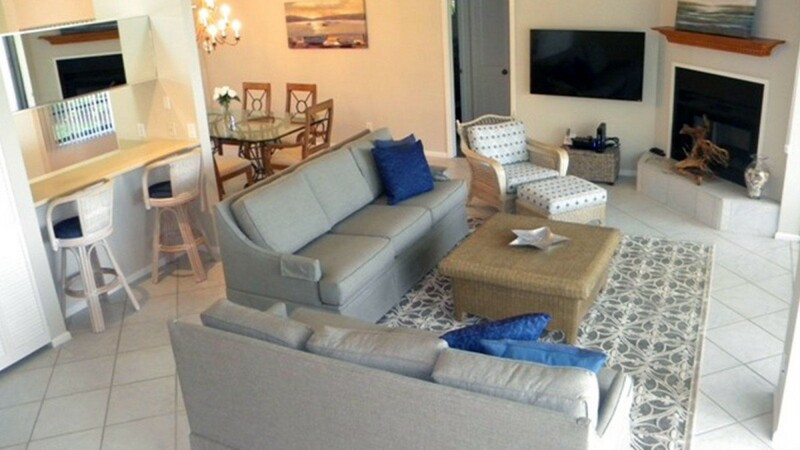 It is located in the quiet Lake Murex neighborhood located off the exclusive West Gulf Drive on Sanibel Island. 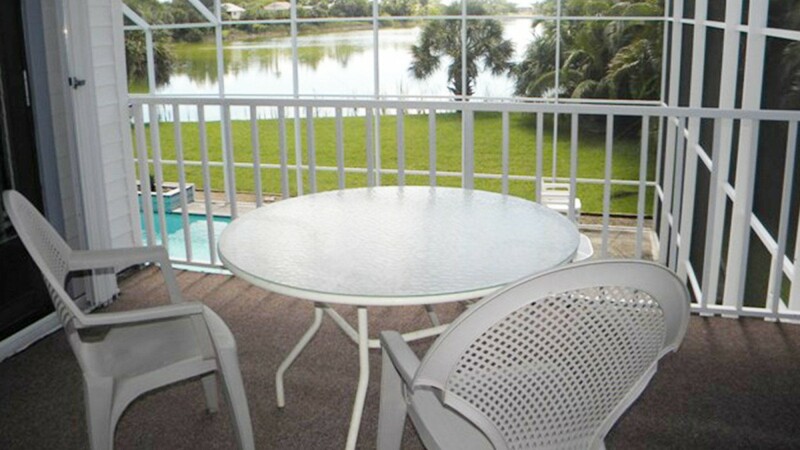 Approximately 10 minute walk to the beach access. As you walk into the home you will enter the spacious living room and kitchen area with high vaulted ceilings. The kitchen comes well equipped and has all new appliances, solid surface counter tops and bar stool sitting area. There is an elegant dining room for families to gather for meals. The living room has wall-to-wall sliding glass doors which look out to the backyard pool and scenic lake view. 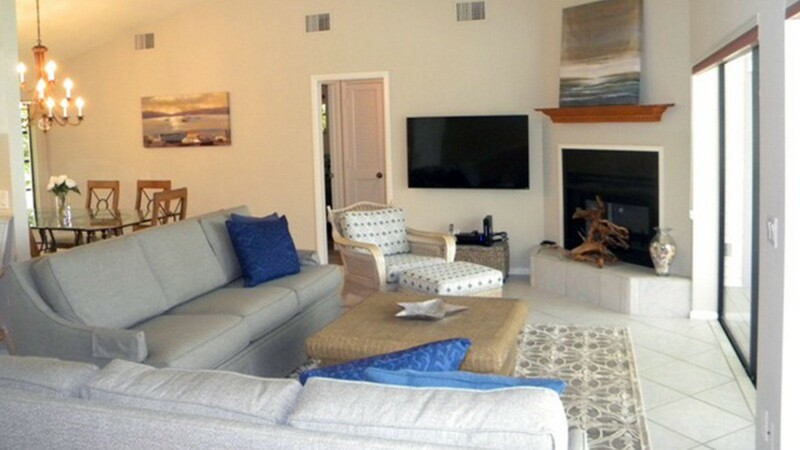 Snuggle on the sofas next to the romantic decorative fireplace to watch a movie on the large flat screen TV. Walk up 6 steps to the cozy loft area to take a nap on the sectional sofa or read a book. The master bedroom is located off the loft area and has a king size bed, remote flat screen TV and private bathroom. There is a private screened patio off this bedroom with a table and two chairs where you can enjoy your morning coffee and read the paper. 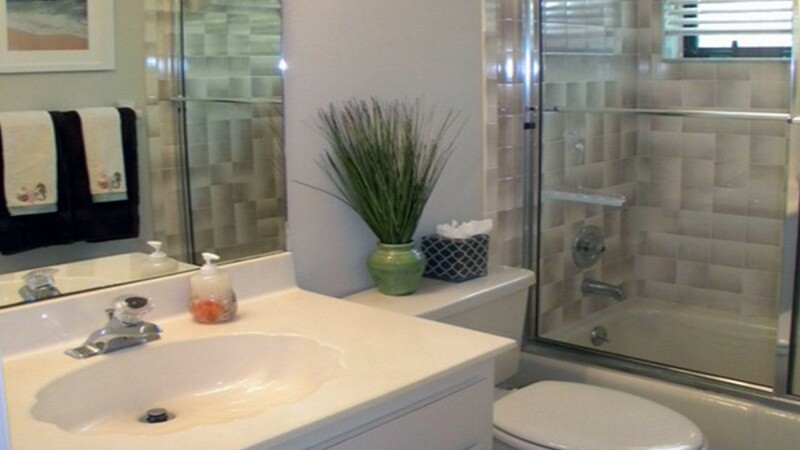 The master bathroom has been newly remodeled with a double high vanity and large walk in shower. There are two separate "his" and "her" closets. The two guest rooms are located on the opposite side of the house. Here you will find a guest bedroom with 2 twin beds and a guest bedroom with a queen size bed. In between there is the full guest bathroom with a tub/shower. The half bathroom is located off the kitchen as you go up to the loft. From the living room you can step outside onto the shaded patio to dine outside or relax down by the poolside. There is a spacious screened in pool deck with another dining table and 4 lounge chairs where you can relax and listen to the waterfall and enjoy the many views of your private oasis.